BP posted a $2.8 billion second-quarter profit Tuesday, beating analyst expectations with a tally that's roughly four times higher than the same period a year earlier. Why it matters: It's a bright spot for BP during an earnings season in which some other super-majors — notably Exxon — have posted profits that fell short of forecasts despite strong oil prices. 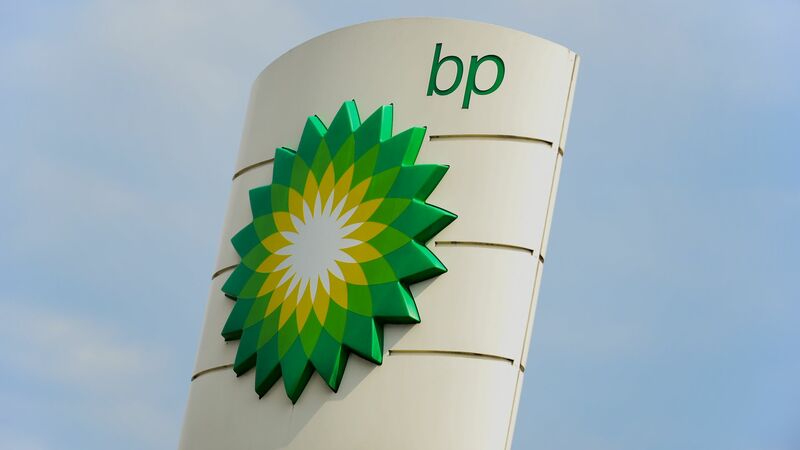 BP said its oil-and-gas production was 3.6 million barrels per day of oil-equivalent, and the company has started projects in Azerbaijan, Russia and Egypt. The big picture: "The numbers bear out BP’s ambitious plan to regain its position among the elite tier of big energy companies following its fatal blowout in the Gulf of Mexico eight years ago," per the Wall Street Journal. Brian Gilvary, the company's chief financial officer, told analysts on a call Tuesday morning that the company has already paid 80% of this year's planned settlement payments related to the 2010 Gulf catastrophe. More broadly, he said the company is in the "litigation tail" from the disaster, although payments will continue. What's next: CEO Bob Dudley said that looking forward, the company is planning for oil prices in the $50–$65 per barrel range, which he also discussed in this CNBC interview. "That's how we're going to plan the company, we're not going to get ahead of ourselves, we're going to keep the capital discipline," he told the network. Electric vehicles strategy: Dudley also used the quarterly analysts' call to promote the company's recent moves in the electric vehicle charging space — purchase of the EV charging network Chargemaster and investment in the battery tech company StoreDot. Dudley called EVs "not a threat, but an opportunity for BP." “We are well positioned to become both the leading fuel provider for both conventional and electric vehicles,” he said Tuesday. Flashback: BP announced last week that it's making a major push in the U.S. shale patch with the $10.5 billion acquisition of BHP Billiton assets, notably oil-rich acreage in the Permian and Eagle Ford basins. Go deeper: Reuters breaks down the numbers here. Axios' Amy Harder reports ... The Supreme Court on Monday rejected the Trump administration’s request for an emergency stay of a lawsuit brought by 21 young people urging the federal government to do more to address climate change. The intrigue: The short rejection included language some lawyers interpreted as the court’s skepticism about the case, which after Monday’s ruling can now proceed at the district court level in Oregon, Reuters' Lawrence Hurley reports. 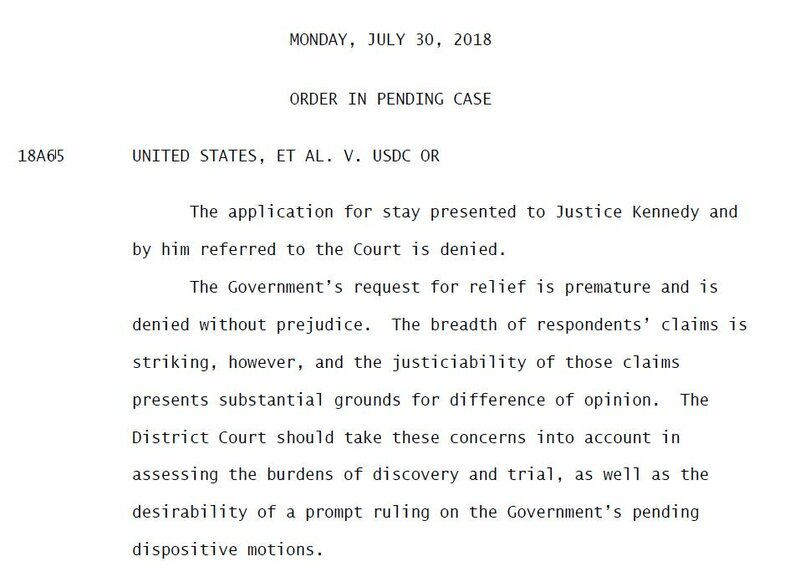 Plus, the court’s move is likely the last act of retiring Justice Anthony Kennedy. To be sure: It would have been extraordinarily rare for the court to accept the stay request of a district court trial, according to Burger. Screenshot of chart from The Conversation post, "Apartments rarely come with access to charging stations. But electric vehicle need them"
Homeowners are three times more likely than renters to own an electric vehicle, a gap that remains even after controlling for income, new research by University of California-Berkeley economist Lucas Davis shows. Why it matters: Renting is among the barriers to moving EVs — a growing but still niche market — into the mainstream, which policymakers see as a way to cut carbon emissions, he notes. Homeowners often have a garage or driveway, which makes charging more convenient compared with living in multi-unit buildings often lacking assigned parking or any parking. Making charging investments is trickier for renters, who typically don't want to spend money upgrading property they don't own. There are barriers for landlords too. 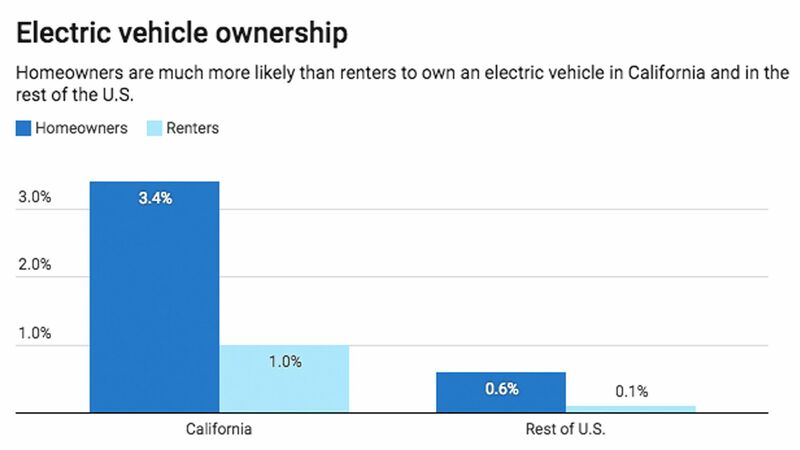 "The main reason landlords may be hesitant to make electric vehicle-related investments is that even if the current tenant has an electric vehicle, the next tenant may not." What's next: Davis notes that California state officials and power companies are investing in more charging infrastructure aimed at multi-unit buildings, which might narrow the EV ownership gap. The intrigue: He isn't sure whether there should be a policy aimed at renters specifically. "Most economists would like to see a higher price on carbon dioxide emissions and/or a higher tax on gasoline, but this would increase electric vehicle ownership among both homeowners and renters," the paper states. "Whether there should be additional policy steps to address renters specifically hinges on whether the gap reflects a market failure, or simply higher costs and lower demand." Let's revisit something we wrote about here, which is President Trump touting the prospect of increased U.S. LNG exports to Europe. The claim: "[W]e are already talking to the European Union about building anywhere from 9 to 11 ports, which they will pay for, so that we can ship our LNG over to various parts of Europe," Trump said at a White House press conference with Italy's prime minister. Reality check: "Europe is unlikely to veer from its current plans to build a small number of new plants for importing liquefied natural gas, energy experts said, casting doubts on President Trump’s claims Monday that he had secured commitments from the European Union for the construction of nine to 11 plants to boost U.S. exports," per the Washington Post. EPA: E&E News has an interesting piece that explains why, less than halfway into Trump's term, it's already almost "crunch time" for EPA to advance several of its major deregulatory efforts — if Trump turns out to be a one-term president. Why it matters: In essence, if they want the changes to stick, getting rules out the door by year's end is important in order to leave time for the inevitable legal battles. Behind the scenes: "Industry groups and companies are privately pressing EPA to prioritize its efforts, anticipating that some regulatory rollbacks are bound to get snagged in drawn-out legal battles," Zack Colman reports. Pipelines: Via the Associated Press, "A new planned route for the Keystone XL pipeline through Nebraska would not have a major impact on the state's water, land or wildlife, according to an updated environmental study produced by the Trump administration." Yes, but: TransCanada has not yet committed to actually building the decade-old proposed pipeline. Similar to Trump's zeal for more U.S. LNG shipments to Europe, his energy goals may or may not line up with what are ultimately market and commercial decisions. Asia-Pacific: Per the Washington Examiner, the Trump administration rolled out new efforts yesterday to expand energy tech and gas market ties in Asia-Pacific nations. "The Trump administration dubs its effort 'Asia Edge,' which [Energy Secretary Rick] Perry said will focus on four areas: expanding energy commerce between nations, implementing market reforms, encouraging private investment, and 'promoting universal access to affordable, secure energy.'"